Is this what Obama intended? A new poll says that very few Americans believe that they have benefited from the provisions in Obamacare, the signature healthcare legislation from former President Barack Obama. The poll conducted by Harris X for The Hill says that only 14 percent of respondents said that their monthly premiums were better because of Obamacare. 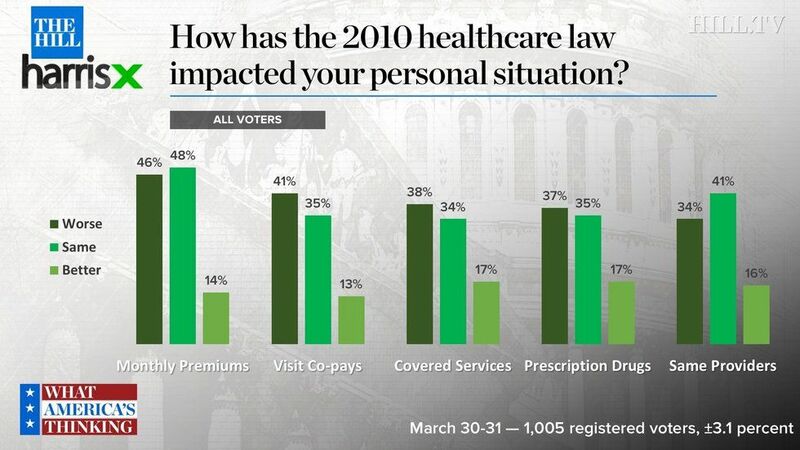 Only 13 percent said that visit co-pays were better because of Obamacare. 17 percent indicated that their covered services had improved because of Obamacare, with the same percentage saying their prescription drugs had improved because of Obamacare. Democrats were much more likely to say their personal situation had not changed because of Obamacare, while Republicans were much more likely to say their personal situation had worsened. The less economically fortunate were much more unsure of the benefits of Obamacare, with 21 percent saying so, while the most fortunate were far less unsure — only 6 percent said they didn’t know if they benefitted or not. 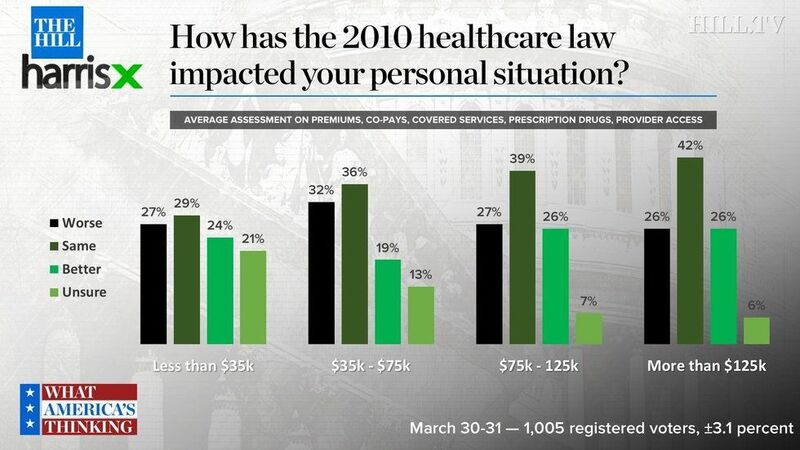 But among all four economic classes, a plurality said that their condition had not changed because of Obamacare. Jessica Fulton, the director of economic policy at the Joint Center for Political and Economic Studies, said that the results showed that Obamacare was suffering from bad messaging. The president initially said that healthcare would be one of the most prominent issues of the 2020 election. Later he changed course and said that the effort to replace Obamacare would have to wait until after the election.